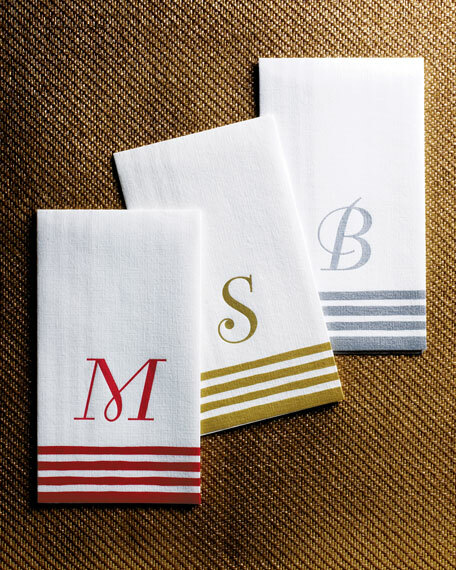 For the look of linen, the feel of cloth, and the convenience of paper, choose nonwoven paper guest towels/buffet napkins with airlaid stripes and script initial. The 4.5" x 8" napkins arrive in an attractive box with clear lid. Specify initial and ink color: Red, Gold, or Silver. Made in Germany.